Though Gordon Lindsay was never in the same league as the more prominent healing evangelists he employed his unique gifts to bring stability, cohesion and unity to the multi-facetted healing movement. His orderly mind, keen business sense, sharp literary skills and an ecumenical spirit conspired together to maintain the movement’s integrity, coordination and growth. His first-hand experience as an itinerant evangelist in the 1930’s gave him an understanding of both itinerant ministry and local church leadership, providing great wisdom as the movement spread. Gordon Lindsay's parents were members of J. A. Dowie's Zion City, Illinois when he was born. The city’s financial difficulties forced the family west in 1904, where they temporarily joined another Christian-based community led by Finis Yoakum at Pisgah Grande, California. When similar problems emerged the family moved to Oregon after only a few months. From here the family moved to Portland, Oregon where Lindsay attended high school and was converted during a Charles F. Parham evangelistic campaign. During his youth he came under the influence of John G. Lake, former resident of Zion City, missionary to South Africa, and founder of the Divine Healing missions in Spokane, Washington, and Portland, Oregon in 1920. Lindsay joined the healing and evangelistic campaigns of Lake, traveling throughout California and the southern states. Lindsay began his own ministry in California as pastor of small churches in Avenal and San Fernando and for the next eighteen years, he travelled across the country holding revivals in full gospel churches. This period of travel prepared him as perhaps no other man in the nation to establish communication among a variety of Pentecostals. When World War II began, Lindsay felt compelled to give up his evangelistic ministry because its rigorous lifestyle was taking its toll on his young family. He accepted a call to pastor a church in Ashland, Oregon. By 1947 he had witnessed the extraordinary ministry of William Branham and responded to the invitation to become Branham’s manager. His managerial skills were soon obvious in the Branham campaigns, and in April 1948, he furthered the cause of the of the revival when he produced the first issue of The Voice of Healing, specifically to promote Branham’s ministry. To Lindsay’s great surprise Branham announced that he "would not continue on the field more than a few weeks more." At great financial cost Lindsay decided to continue the publication of the new magazine in cooperation with his long-time friends, Jack Moore and his talented daughter Anna Jeanne Moore. He broadened the scope of the magazine by including more of the lesser known healing evangelists who were beginning to hold campaigns and were drawing large audiences. One such evangelist was William Freeman who had been holding meetings in small churches. Lindsay visited one of his campaigns and immediately felt it was the will of God to team up with him and organise a series of meetings through 1948. The Voice of Healing featured the miracles of the Freeman campaigns. By March 1949 The Voice of Healing circulation had grown to nearly 30,000 per month and had clearly become the voice of the healing movement. It’s pages successfully spread the message of the Salvation-Deliverance-Healing revival across the world. In December 1949, Lindsay arranged the first convention of healing revivalists in Dallas, Texas. The assembly was addressed by Branham, Lindsay, Moore, old-timers such as F. F. Bosworth and Raymond T. Richey, and a number of rising revivalists including O. L. Jaggers, Gayle Jackson, Velmer Gardner, and Clifton Erickson. This historic conference symbolized the vitality and cohesion of the revival. The following year, the convention, now about 1,000 strong, met in Kansas City, with virtually every important revivalist in the nation, with the notable exceptions of William Branham and Oral Roberts. Lindsay exercised great skill and wisdom exposing several points of danger and tension in the movement proposed guidelines for the future. Lindsay understood the fears of the older Pentecostal denominations and leaders and tried his utmost to deal with the offending issues. In an article announcing "the purpose, plan and policy of the Voice of Healing Convention," he denounced "free-lancers who violently and indiscriminately attack organization in general," and he urged avoidance of "novel prophetic interpretations, dogmatic doctrinal assertions, sectarian predilections, theological hair-splitting." The 1950 meeting made the Voice of Healing convention into a loose association of healing revivalists. The evangelists officially associated with The Voice of Healing magazine held "family meetings" at the conventions, at the same time maintaining their desire to "prove to the world that those associated with The Voice of Healing have no intention to organize another movement." Through the decade the Voice of Healing conventions were showcases for healing revivalism. The conference programs were workshops on the problems of healing evangelists. Typical topics were "prayer and fasting," "preparation for a campaign," "the follow-up work after a campaign," "the system of cards for the prayer tent and the healing line" and the delicate issue of finances. 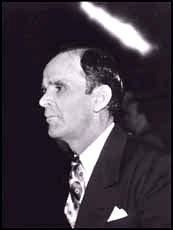 As the association grew in importance in the 1950s, the program was frequently headed by Roberts or Branham; though every new revivalist aspired to be a speaker on the program. The Voice of Healing family of evangelists flowered in the early 1950s. Lindsay continued to publicize Branham's work, although he was not formally associated with the organization; the nucleus of the fellowship was an influential clique which included O. L. Jaggers, William Freeman, Jack Coe, T. L. Osborn, A. A. Allen, and Velmer Gardner. Gradually major ministries began their own magazines and had no further need for Voice of Healing promotion. Nevertheless, by 1954 the "associate editors and evangelists" listed in The Voice of Healing numbered nearly fifty. Though Lindsay became personally involved with healing evangelism from 1949, especially with other revivalists such as T. L. Osborn, he confined his best work to organization and management of the Voice of Healing magazine. By 1956 the expenses of the Voice of Healing were running $1,000 a day. In addition to the national and regional conventions sponsored by his organization, Lindsay also began to sponsor missions and a radio program. “Lindsay was more than an advisor during the first decade of the healing revival; he was much like the director of an unruly orchestra. He tried desperately to control the proliferation of ministries in an effort to keep the revival respectable. He repeatedly advised, "It is better for one to go slow. Get your ministry on a solid foundation. . . . By all means avoid Hollywood press agent stuff." Many of the new leaders of the early 1950s owed their early success to the literary support of Gordon Lindsay through the Voice of Healing, but by 1958, many of the revivalists believed that Lindsay's work was over. Lindsay’s efforts to consolidate and coordinate the healing movement and its ministries became an impossible task. The increasing independence of ministries and the burgeoning charismatic movement caused Lindsay to reconsider his goals. He took the example of T. L. Osborn and concentrated on missionary endeavours. He remained the historian and theologian of the healing movement but began to produce teaching and evangelistic materials which were sent across the world. The Voice of Healing ultimately became Christ for the Nations. Native church programs, literature, teaching tapes and funds were distributed to hundreds of locations. The organization had changed from one of healing revivalists into an important missionary society. 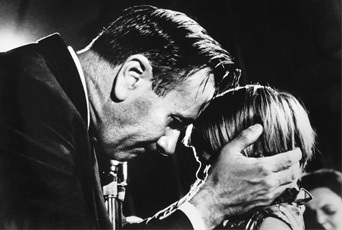 His ministry was always to those involved in the healing revival, independents and mainline Pentecostals, but the new charismatics - Lutherans, Methodists and Baptists – became his new audience. His encouragement of, and involvement with, the Full Gospel Businessmen’s Fellowship was designed to provide teaching and wisdom for charismatic leaders, many of whom held Lindsay in high regard. Suddenly, on April 1, 1973, Gordon Lindsay died. His wife, Freda, stepped into the breach and was able to stabilize and advance the ministry of Christ for the Nations. Lindsay’s death brought unparalleled financial support paying off all debts and expanding most of its programs. Bibliography: D. Harrell, Jr., All Things Are Possible (1975).